painting. sketching. drawing. my website for now. Subscribe to get notification of our occasional shows! 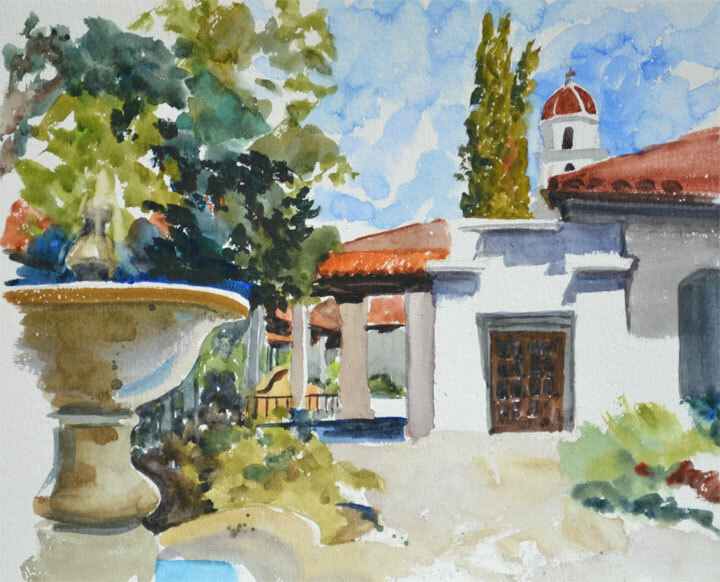 A workshop with Leslie Wilson inspired me to try watercolor without pen and ink. A beautiful day at St. Mary’s College in Moraga, you almost couldn’t pick anything not beautiful or peaceful. 1st Annual West Coast Urban Sketchers’ Sketchcrawl! It starts tonight, and goes through Sunday. Posted on July 12, 2013 July 12, 2013 Categories cityscapes, ink & watercolor, ink drawing, sketchcrawl, urban sketch, watercolorTags 1st annual west coast urban sketchcrawl, california, sketchcrawl, United States, west coast3 Comments on 1st Annual West Coast Urban Sketchers’ Sketchcrawl! 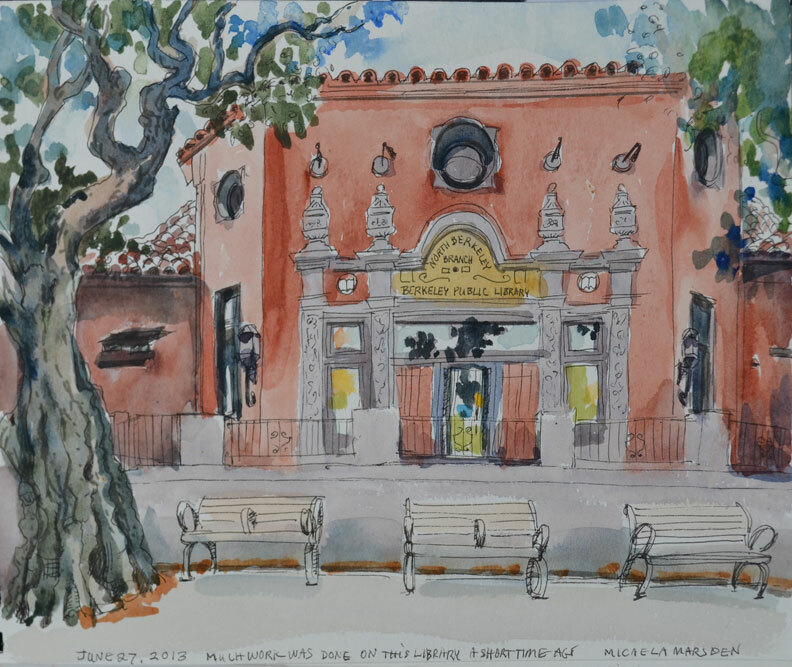 This Saturday the local Urban Sketchers group, of which I am a member, will be doing a talk and demo of our sketching kits at the main branch of the Oakland Public Library at Lake Merritt from 3 – 5 pm. 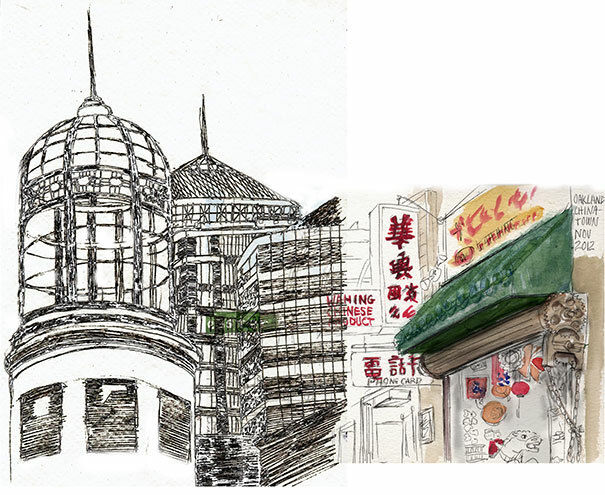 The following weekend, the 1st Annual West Coast Sketchcrawl will be happening in Berkeley, San Francisco, and Oakland.